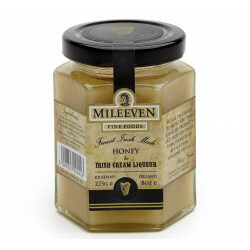 Creamy honey flavoured with Irish Mist - an Irish whiskey liqueur, and Irish whiskey. The family company Mileeven had the great idea to combine pure Irish honey with the delicate, smooth and creamy flavours of Irish Mist - the famous Irish whiskey liqueur, and Irish whiskey. The result is superb and the Great Taste Awards agreed as the company received a prize for its creation. This "Irishness" is a must try! 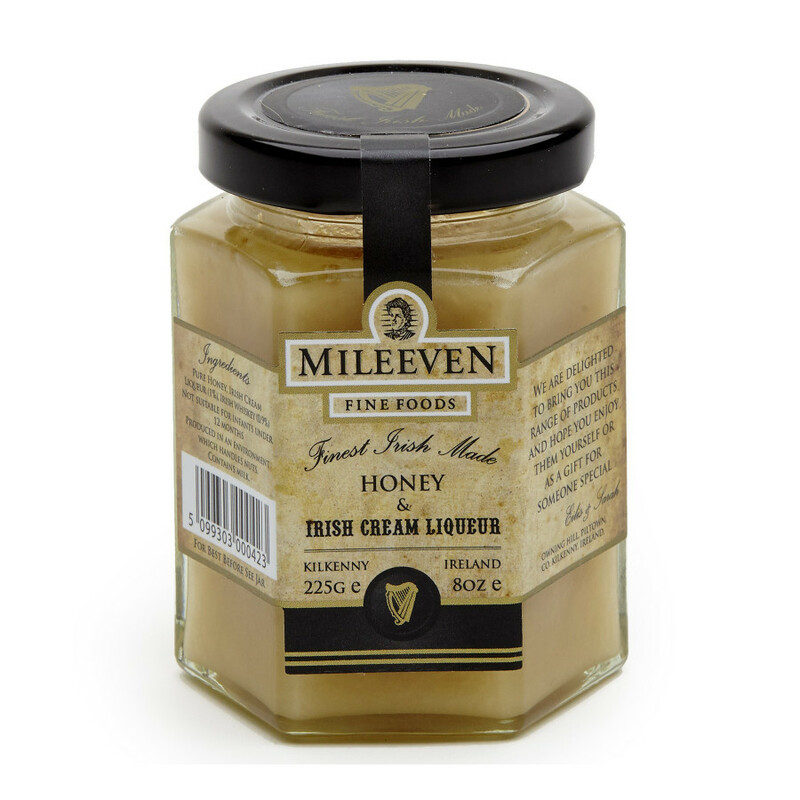 Ingredients: pure honey, Irish cream liqueur (milk)(1%), Irish whiskey (0.9%). For allergens, see ingredients in bold. Produced in an environment which handles nuts.